Author Of The Week: Chat with Leife Shallcross (The Beast's Heart), Plus Giveaway! 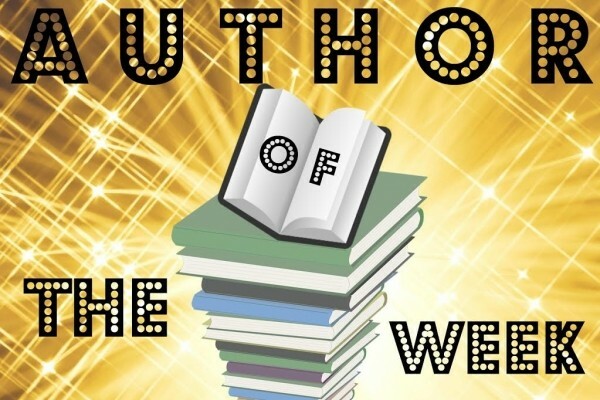 Introducing Leife Shallcross, YABC's Author of the Week!! I’m a total fairy tale tragic and the main reason I started writing it was because I just wanted to lose myself in a fairy tale. Beauty and the Beast has always been one of my favourites for several reasons, but I love the idea of there being a secret world in the heart of the forest with a magical castle and gardens. One of my other favourite stories from my childhood is Frances Hodgson Burnett’s The Secret Garden, and I’ve always been fascinated by the idea of a hidden garden you can retreat into, where magical adventures happen. So writing The Beast’s Heart was really just an excuse for me to go and hang out in his enchanted castle and wander about in the gardens there. I’m going to have to say the Beast! I had to really love him, after all, in order to spend so long in his head. But my second favourite is the Fairy. She’s mercurial and mysterious, and simultaneously benevolent, vengeful and utterly selfish. Definitely the novel! I tend to title my works in progress just by the main character’s name, so for the longest time my manuscript was just calledThe Beast. Then another writer friend pointed out that every aspiring novelist calls their manuscript The Beast. I didn’t hit on the title until just before I submitted it to my publisher. I have a few favorites, but one of them is close to the beginning, when the Beast is still very much a Beast, only just surviving in the forest, and you get to meet the Fairy for the first time. I gave myself goosebumps with that that scene. (All my other favorites are the romantic bits). YABC: Thinking back to when you first started writing, what’s the most important thing you've learned as a writer from then to now? That it’s work, and you have to treat it that way. Don’t get me wrong, it’s wonderful work and there is nothing like the feeling you get when you really nail a scene or come up with a new idea that is just so good it takes your breath away. But if you are serious about producing good fiction and being published (even if you go the indie route), there comes a time you need to transition from being a hobby writer – who just sits down to write when you feel like it – to a professional writer. IMHO, being a professional writer is not about how much you get paid, but how you treat the task of writing. If you treat it like a professional gig, which means applying commitment and discipline and sticking with it when it’s tough and not so fun, then you’re approaching it like a professional. What’s not to like? I feel very, very lucky to have received such a beautiful cover from artist Lisa Perrin. It makes me think of 17th Century French embroideries, which could not be more perfect. I adore it. I am really looking forward to the final book in Katherine Arden’s Winternight series, The Winter of the Witch. I’m also pretty keen for The Hollow Empire, sequel to Sam Hawke’s City of Lies. I’ve got a massive TBR pile, though, so I’ll probably still be catching up on all those books for most of the year! I read so many good ones! I loved the first two in Katherine Arden’s Winternight series, The Bear and the Nightingale and The Girl in the Tower. I also listened to the audiobooks of Mackenzi Lee’s The Gentleman’s Guide to Vice and Virtue and The Lady’s Guide to Petticoats and Piracy and loved those as well. For epic fantasy, my friend Sam Hawke’s debut, City of Lies, was immensely satisfying with some really interesting diverse characters. Picking favourites is hard! I’m working on a couple of things! I’ve got another fairy-tale-themed novel in progress. This one has wicked stepmothers and balls and intrigue and clockwork. I’m also working on a series set in eighteenth century London, with runaway heiresses and dissolute viscounts and magic and murder. It was actually the scene when the Beast realises he is in love with Isabeau (aka Beauty).The first couple of drafts just really didn’t work. Ironically – given this revelation is largely internal monologue – I had to work quite hard to get into his head and beneath the surface for this scene. Probably Isabeau! The story of Beauty and the Beast is so often Beauty’s story that when I first started writing The Beast’s Heart I took a lot about her for granted. At one point I had to set the manuscript aside and just spend time in Isabeau’s head writing her story and working out what really made her tick. Mostly revising, although there is absolutely nothing like being in the zone, in the grip of your Muse, when the rest of the world disappears and you’re just riding your story to the end. I wish that happened more often! Not specifically. Anything that makes the world a better place for more people. I love the cover! Even beasts should have pretty things! This is a unique spin on a retelling -- would love to read it. This is a unique spin on a retelling -- would love to read it. The cover is gorgeous. I love fairytale retellings! And this cover is gorgeous! This is one of the most gorgeous covers ever! I'm excited about the story from the Beast's perspective, too! I loooove this cover. I can't wait for this one. Love the cover and would love to read the story! We love the original! LOVE the cover & definitely want to read!